Are The Scarpa Cyrus Womens Hiking Boots Really Tough Enough For A Hike? 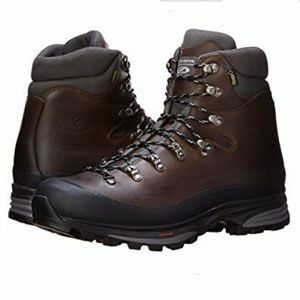 The Scarpa Cyrus Gore-TEX Women’s Mid Hiking Boots are a great looking option for women that want something a little more neutral and rugged. Rather than offer women a softer shape, or a bright, feminine colour, the brand has created a beige, fairly non-descript shoe. It could easily fall under the radar if it wasn’t for the promises about the materials and comfort. So, does this shoe deliver as a no-nonsense women’s hiking boot? Or, are there hidden issues? Are SCARPA Kinesis Pro GTX Hiking Boots Too Extreme For Most Walkers? Hiking boots are meant to be built to last, and the SCARPA Kinesis Pro GTX Hiking Boots definitely look as though they should meet that requirement. The boot doesn’t have the colour and style of some walking boots, but it looks like a no-nonsense solution for many enthusiastic hikers. Is this the case, or are there hidden problems? 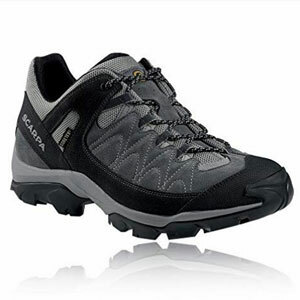 Are The Scarpa Vortex XCR Trail Walking Shoes Tough Enough? There are some walking shoes that are a little more understated in their design, and the Scarpa Vortex XCR Trail Walking Shoes fit that bill. There are two colour choice, but both include tones of black and grey. It also doesn’t seem like too heavy a shoe. This all means that there should be potential here for use beyond the hiking trails. The specification contains many features that buyers are after, but does it offer comfort and protection? 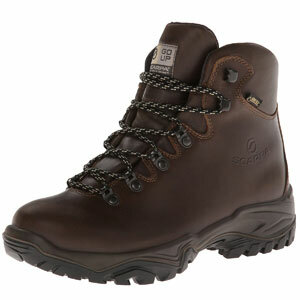 Are The Scarpa Mens Terra GTX Walking Boots As Tough And Reliable As They Look? The Scarpa Mens Terra GTX Walking Boots is a boot that immediately looks as though it should be up on the hills and trails, rather than walking around an urban landscape. This isn’t the most attractive boot out there. Aside from the stitching and subtle branding, there is little going on design-wise. Still, this brown walking boot has a strong lace-up closure, full-grain leather uppers, a thick vibram sole and a good grip. Are these shoes as well-designed for the great outdoors as they seem?